New Delhi: The 18-member Indian women’s hockey team will begin their tour of Spain on January 26. The side led by Rani Rampal will play four matches against Spain and two versus Ireland, the 2018 Women’s World Cup runners-up. The Indian team left for Spain on Thursday morning from Bengaluru where they had a national camp for two weeks. The team includes two goalkeepers Savita, the vice-captain, and Rajani Etimarpu. 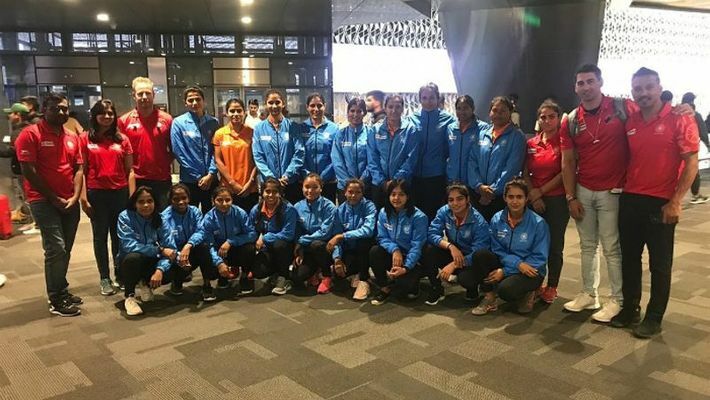 The squad for Spain trip also features defender Sushila Chanu Pukhrambam, who makes a comeback after missing out on the World Cup and the 18th Asian Games in Indonesia last year due to injury. Defender Salima Tete, who led the India Under-18 team to a silver medal at the Youth Olympic Games in Buenos Aires, has also been named in the squad along with the experienced Deep Grace Ekka, Reena Khokhar, Nikki Pradhan and drag-flicker Gurjit Kaur who will add strength to India’s defence. While the midfield features Lilima Minz, Karishma Yadav, Sonika and Neha Goyal, the forward-line will have the experience of Rani, Vandana Katariya, Navneet Kaur, Lalremsiami, Udita and Navjot Kaur. “The team has a different mix of players this time with some of the key players like Sunita Lakra, Namita Toppo among few other experienced players being rested. The idea was to give more players a chance to experience playing at the top level so we can create more depth in our selection ahead of the 2020 Olympic qualifiers,” said chief coach Sjoerd Marijne. Forwards: Rani Rampal (captain), Vandana Katariya, Navneet Kaur, Lalremsiami, Udita, Navjot Kaur.